Together with Alcatraz Cruises, the Tamàstslikt Cultural Institute in Pendleton, Oregon will be the new, temporary home of the “Alcatraz: Life on the Rock” and “Alcatraz, The Last Day” exhibits. From June 27 through October 24, 2015, the 3,000 square foot “Alcatraz: Life on the Rock” exhibit will be complemented by the “Alcatraz: The Last Day” photo exhibition, a collection by Life Magazine photographer Leigh Wiener. These comprehensive exhibits are an ideal way for families, students and visitors alike to get a real feel for the history of and the fascination with Alcatraz. 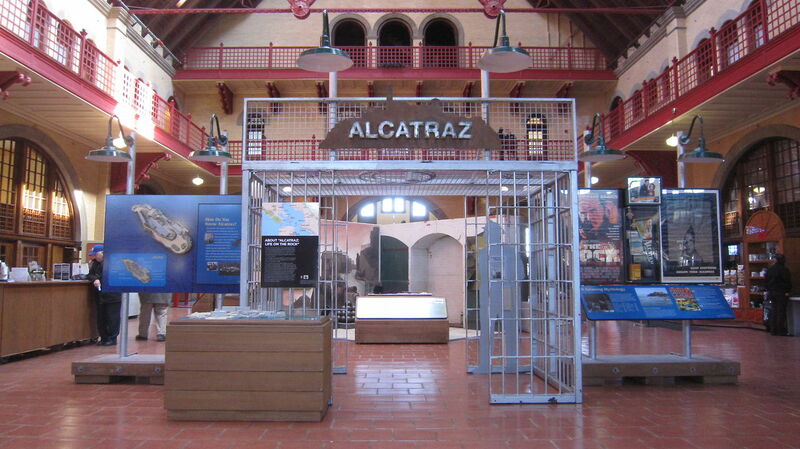 The “Alcatraz: Life on the Rock” and “Alcatraz: The Last Day” exhibits will be a value-added exhibit for guests of the Tamàstslikt Cultural Institute, which is located at 47106 Wildhorse Boulevard, Pendleton, Oregon, just five minutes from Interstate 84 and four miles east of Pendleton. Telephone is (541) 429-7700 and website is www.tamastslikt.org. Tamástslikt Cultural Institute tells the story of three American Indian Tribes, the Cayuse, Umatilla and Walla Walla, who for more than 10,000 years inhabited the Plateau region of the Pacific Northwest, U.S.A. They welcomed and assisted the Lewis and Clark Expedition in 1804-1806 and Clark documented the contacts in his journal. Some 40 years later, the Oregon Trail cut through the heart of their homelands. Tamástslikt brings the story alive with a 14,000 square foot exhibit space that incorporates artifacts, photography, video and interactive multi-media in world class exhibits. The Museum Store sells American Indian art, crafts, jewelry, and apparel as well as books, music and exclusive design Pendleton Woolen Mills Indian blankets. Kinship Café offers Native-inspired dishes for lunch. And the Living Culture Village opens every summer with replicas of traditional and prehistoric structures of the Plateau Indian people plus weekly activities and demonstrations. Tamástslikt Cultural Institute is owned and operated by the Confederated Tribes of the Umatilla Indian Reservation. By the late 1960s, Native Americans were relegated to the history books and out of the public consciousness. The United States government had instituted several policies since the late 1800s that were specifically designed to assimilate Native Americans and dissolve tribes. Many were disenfranchised, impoverished, and forgotten people living in urban inner-cities. In 1969, the group Indians of All Tribes took the island of Alcatraz in protest in an effort to bring their plight onto a national stage. They held the island for 19 months. The occupation led to more protests and the repeal of harsh federal assimilation policies. Tamástslikt will enhance Life on the Rock with additional information and artifacts related to the occupation of Alcatraz and Native activism from the 1960s to the present.